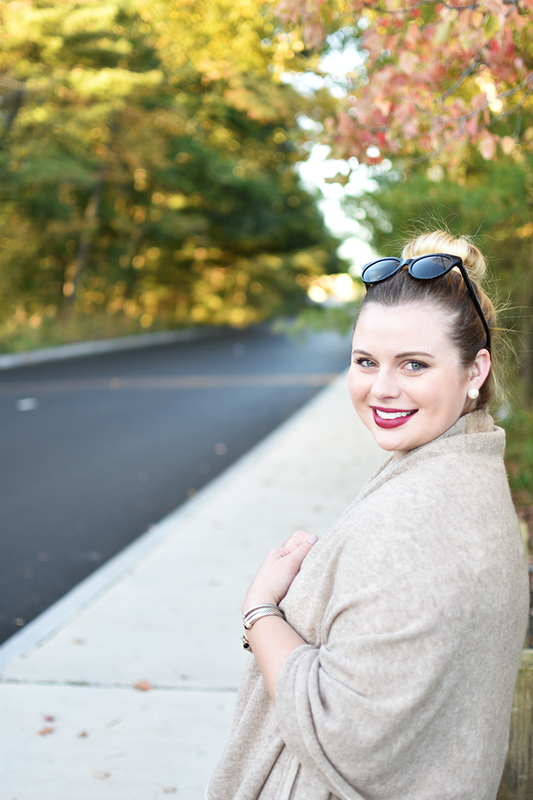 I blogged yesterday about wearing brights for fall, so I thought I would give the neutrals in my closet a little love too. This outfit is going to be on major repeat for me, because the second I put it on to shoot, I instantly felt pulled together and chic. And the best part of it? It's so, so comfortable and effortless! It's also one of those outfits that fits the bill for work wear (the wrap is perfect for those cold offices), and can easily transition to drinks after work or a dinner date by switching the boots for pumps! Now, onto some outfit details. 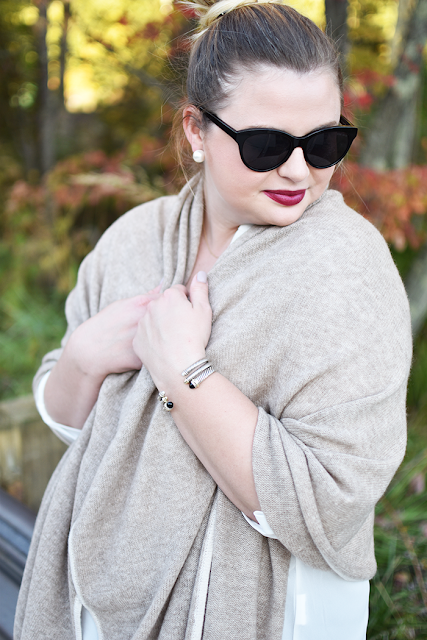 This cashmere wrap has instantly become one of my favorite things in my closet. 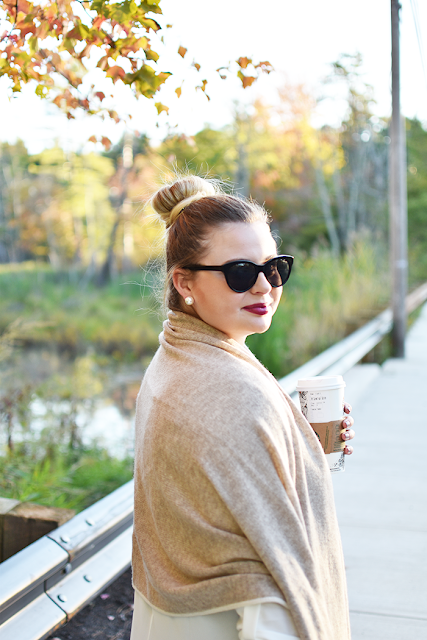 I was unsure about whether or not to purchase it during Nordstrom's sale because it was the middle of the summer and any kind of wrap was the last thing on my mind, but I am so happy I did! It's perfect for those cold nights, or just staying cozy at home! 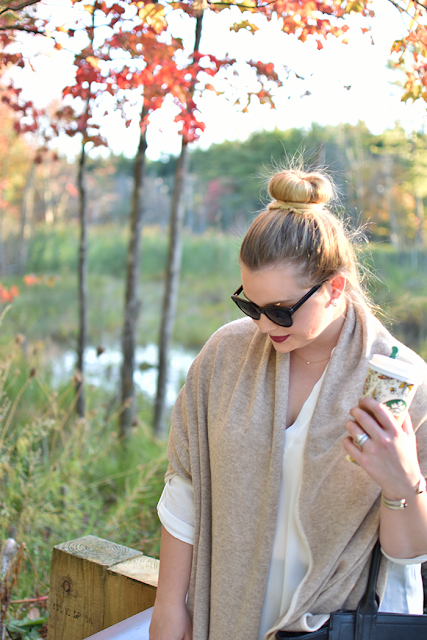 Underneath my new favorite wrap is another one of my favorites, the Lush tunic. 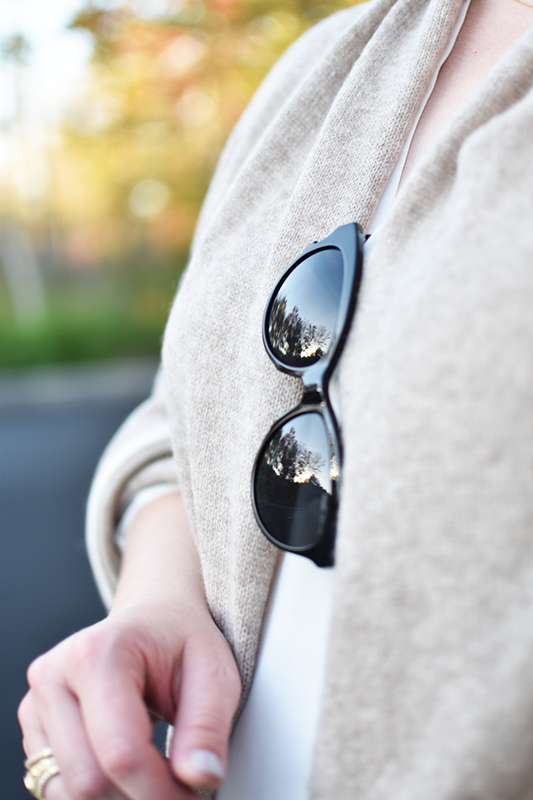 Now that it's fall, they're the perfect layering item and is just the right length to wear over leggings! Oh, and guess what?! It's October and that means I'm officially through my No Shop September! I amassed quite the wish list throughout the month, but I'll be thinking seriously about what's on it and making sure that the items I do decide to purchase truly bring me joy! Stay tuned for a post on everything I learned throughout the month!